Intuitive inspection software helps airline lower aircraft on ground time, reduce costs and achieve consistent reporting. If you’ve flown anywhere in Europe in the past two decades, chances are good that you’ve flown on easyJet. This leading European low-cost airline brings travellers to more than 30 countries on 600+ routes safely and conveniently, all while offering some of the lowest fares across the continent. How do they do it? With a focus on safety, simplicity, and operational efficiency. easyJet’s engineering organisation epitomises this ethos by putting safety at the heart of everything it does and innovating to continually improve performance and reduce costs. One of the most important ways that easyJet can minimise delays and keep ticket prices low is reducing Aircraft on Ground (AOG) time. Unplanned AOG events happen when any of the company’s 298 Airbus aircraft are damaged or experience mechanical failures and can be very costly — not to mention inconvenient to passengers. It’s clear that the faster a damaged aircraft can be checked, the better it is for the airline and its passengers. 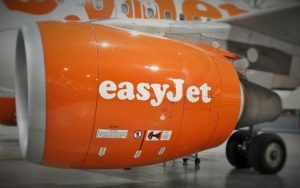 “One of our biggest challenges is to try and reduce the AOG time of aircraft and maintain accurate records when damage occurs,” said Andrew Knight, Fleet Structures Engineer at easyJet. While rare, hail, bird strikes, and other events can potentially damage the wings and fuselage and require inspection before flying again. Checking damage from these types of events has traditionally been a low tech, manual, and time-consuming process that requires maintenance staff to assess aircraft damage using manual measuring tools such as rulers and vernier calipers. Worse still, interpreting the extent of any damage using this technique is highly subjective and not repeatable between staff members. easyJet’s structural engineering team went looking for a modern solution to speed things up and provide more accurate traceable results. For these reasons, easyJet turned to 3D Systems reseller OR3D, a UK firm with expertise in 3D scanning and Geomagic software. Robert Wells, a 3D scanning expert at OR3D, reported that “based on easyJet’s requirement to quickly scan large areas — such as the entire wing length of an Airbus A320 — on the tarmac, we recommended a portable handheld 3D scanner. And we knew Geomagic Control X™ was the right software because they needed an automated way to assess dents that was easy for their staff to learn and use.” With this solution, performing a damage assessment on the roughly 70 feet (21 meters) of an A320’s flaps takes just a few hours, compared to several days with wax rubbings on tracing paper, saving easyJet tens of thousands of Pounds/Euros per damage event. Once the scans are complete, easyJet engineers can get damage reports from Geomagic Control X™ software on the spot. They don’t need to load CAD models or align the scan data to anything else in the software, and they don’t need to have deep metrology expertise to get reliable output. 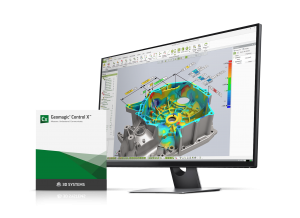 Control X uses its CAD engine to automatically create idealised geometry that meets standards for surface continuity that are defined by Airbus, and measures the scanned aircraft against that idealized geometry to provide instant results. Within minutes, easyJet engineers have a consistent, repeatable, and thoroughly documented initial damage report that lets them decide what repairs, if any, are needed before the aircraft can be placed back into service. easyJet has embraced Control X for large-scale damage assessments because it’s so accessible for busy engineers with many other responsibilities. Knight remarked on this specifically, saying “engineers will not use the system if it is too complex and requires in-depth software knowledge and/or extensive training.” Control X fulfills these requirements better than any other scan-based inspection software because it’s intuitive, easy to learn, and powerful enough to handle complex measurement scenarios. 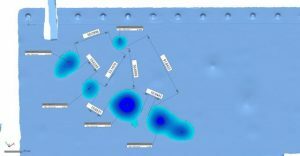 Anyone familiar with using 3D software can pick up Control X and get results in a matter of minutes, with the flexibility to measure what they need to, without pre-programming or inflexible macros. What does this new, modern approach to damage inspection mean for easyJet? “We have estimated an approximate 80% savings in time to perform assessments using the 3D systems we currently have with a potential 80% savings in currency terms,” says Knight. There are additional benefits beyond reduced AOG time and better decision-making regarding repairs as well: keeping detailed damage reports, complete with accurate scan data, can help the company years from now when it comes time to sell or return aircraft to their leaseholders. easyJet’s use of Control X is another example of how simple, intuitive inspection software helps companies ensure quality everywhere by empowering more people to measure more things in more places. Learn more about Geomagic Control X today.